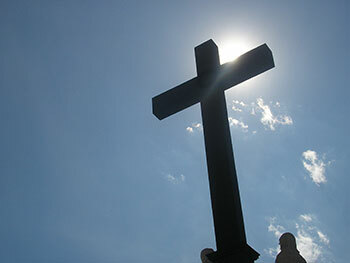 Before 1929 there was no Catholic Church or Mass in the Mountain Home area. The Mountain Home Parish was started as a mission church. The first Mass in the area was offered in a parishioner's home by Fr. Raymond Marmon in April 1929 and continued to meet in other parishioners homes. Later, Mass was offered in a local funeral home chapel and the American Legion Building. The first St. Peter the Fisherman Church, highway 5 North, was dedicated Sunday, October 30, 1949 by the Most Reverend Albert L. Fletcher, Bishop of the Diocese of Little Rock. St. Peter the Fisherman Parish continued as a mission church until it was canonically establshed as a separate parish in August 1959, with Father Henry J. Chinery as the first Pastor. 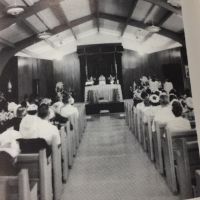 The second St. Peter the Fisherman Church, the present DeClerk Hall, was dedicated Sunday, May 13, 1962 by the Most Reverend Albert L. Fletcher, Bishop of the Docese of Little Rock. The present St. Peter the Fisherman Church was built in 1972. The building was completed, furnished, and ready for occupancy in March 1972. 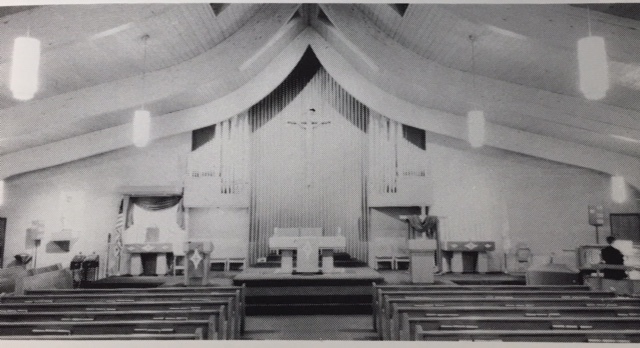 The Church was dedicated on July 2, 1972 by the Most Reverend Albert L. Fletcher, Bishop of Little Rock, assisted by Auxiliary Bishop Lawrence P. Graves, accompanied by Fr. Rainer Joseph DeClerk, Pastor. As the parish grew there was a need to build a parish life center. In 2005 a new two level facility was built with a large parish hall/gym, kitchen, offices, meeting rooms and classrooms. The Most Reverend J. Peter Sartain, D.D., Bishop of Little Rock, Fr. James M. Fanrak, Pastor.